It's highly ironic that Karl (Often anglicized to Charles) XII¹ is referred to as the 'Alexander of the North', given that his reign saw the end of Sweden as an empire and significant global power. While Karl may have started out strong by conquering Denmark, Poland, and parts of Russia, he ultimately failed his country abroad and at home. A nickname that makes more sense is 'The Swedish Meteor'. Karl earned this nickname because of, you guessed it, his meteoric rise to power, and quick fall from grace. When the power's abroad heard about Karl's ascension to the throne, many countries saw the Swedish Empire as ripe for the picking, especially after negotiations for a royal marriage between Karl and a Danish Princess broke down. Not wanting to waste the opportunity of a lifetime, Denmark, Poland-Lithuania, Russia, and Saxony banded together, and with promises from the Swedish nobility that they would start rebelling if a war started, this coalition started attacking Sweden from all sides. However, young Karl was no dummy. He went on the offensive, and invaded Danish Zeeland, and at the Battle of Narva he took the Danes out of the war with one blow. It wasn't long before Karl's armies had driven the Russians and Saxons out of the Swedish provinces on the Baltic. With 3/4 of his enemies driven back, Karl turned his sights on the Polish-Lithuanian Commonwealth. Karl not on a horse. Many of these early achievements cannot be attributed directly to Karl. He was still young, and he didn't have a great deal of war experience. However, he was smart enough to listen to the advisers and generals left to him by his father. As time went on Karl became better at battlefield strategy, and many of his advisers died. By 1702 Karl was almost entirely in charge. It was this year that Karl invaded Poland. Poland was a deeply divided country, and they were no match for the united Swedes. 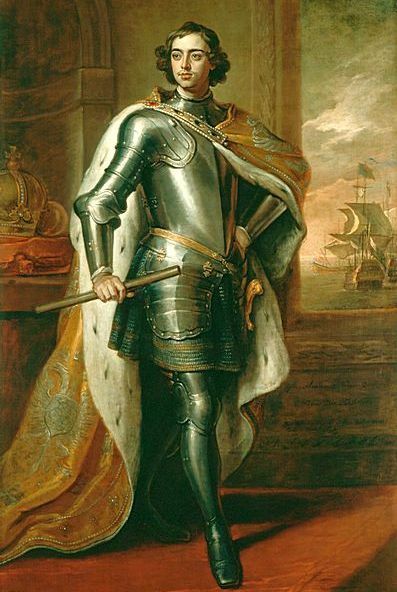 Karl overthrew the reigning monarch, Augustus II, and installed Pole Stanisław Leszczyński as king. Safe in the knowledge that Stanisław would do what he was told, Karl made Poland his base for invading Russia. Now, Karl had been doing very well up until then. He'd been at war for the entirety of his reign, but had still managed to help with administrative decisions back at home. Had Karl decided that enough was enough, and gone back home he might have been remembered as a hero King who conquered vast swathes of territory, and subdued Sweden's enemies. 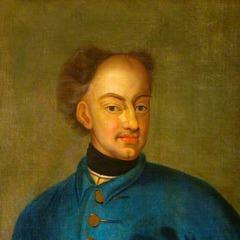 However, in 1706 Karl made a fatal mistake--he invaded Russia. We've discussed Karl's invasion of Russia before, so I won't go into too much detail here. But here's a brief summary: Karl invades western Russia, and reconquers the Baltic provinces that Russia had taken. The Russian soldiers scorch the earth behind them, and attack the Swedish baggage trains, leaving the Swedes without supplies. When they lost battles, the Russians withdrew further into Russia. Though Karl made it all the way to Moscow, lack of supplies forced him to turn back, and a Russian victory at Poltava forced Karl to flee to Turkey. Turkey was a seemingly good place to seek refuge. The Turkish sultanate was friendly to the Swedes, and the Turks also had a beef with Russia. The Turks agreed to jointly attack Russia. However, though Karl requested another army from Sweden it never arrived, and efforts to attack Russia petered out. In 1714 Karl left Istanbul for good, and headed to the Swedish provinces in Pomerania. His five years in Turkey had shifted Karl's priorities from expanding Swedish territory and punishing his enemies to merely keeping his empire intact, and making peace. Karl decided that ceding pieces of land, either for money or treaties, was the only way to go. He ceded vast swathes of Swedish territories, and lost others to various German kingdoms. In 1718 Karl was shot through the head while fighting the Norwegians. He died, leaving no children to succeed him. 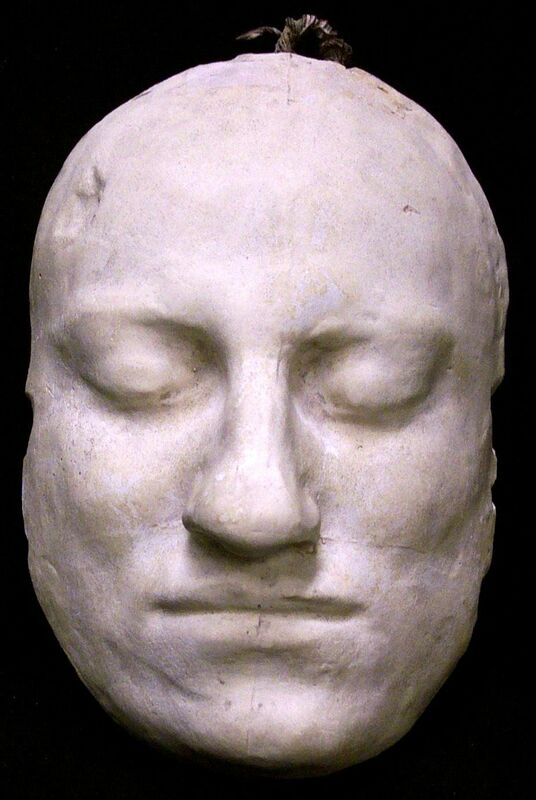 Death mask of Karl XII, also not on a horse. Karl was a king of Sweden, who didn't actually spend all that much time in Sweden. He was deeply religious, and a highly intellectual man. He didn't drink alcohol or have affairs with women. His close relationships with his fellow soldiers have lead many historians to speculate that he may have been homosexual. Towards the end of his life he was reviled by his own people, and rumors that he was shot by one of his own men abound. Karl is heartily disliked by most modern Swedes. Not only do they blame them for the loss of their empire, but they also blame him for the enormous amount of money and lives that his wars cost. Additionally, Karl XII has become an icon for far-right Swedish Neo-Nazi groups, which certainly doesn't boost his posthumous reputation. ¹I refer to him as 'Karl' rather than 'Charles' in this post because it makes very little sense to refer to a King of Sweden by an English name. ²Karl XI had arranged for a regency should he die before Karl XII came of age. However, due to internal fighting within the regency, the Riksdag asked Karl to assume the throne early. When making a 'Top Ten Places Not to Invade In The Winter' list, Russia inevitably comes in number one (with Greenland and Canada following close after.). There were multiple occasions in history, when European leaders thought it might be a good idea to poke the Russian Bear with a stick. Some, like the Mongols, were successful, most, like pretty much everyone else, were not. Russia's pretty big, which makes it difficult to defend and control. Russia's long history of internal conflicts (more recently in Georgia and Chechnya) prove this. However, Russia has a secret weapon-General Frost. You've probably guessed this, but General Frost is a poetic name for winter. Russia is far north, and has some pretty gnarly cold spells. We're talking spit freezing before it hits the sidewalk cold. The winter snows cover everything, and the country more or less goes into hibernation. Nothing grows, and game isn't always plentiful. If you haven't prepared, you're dead. So, despite its size, Russia is pretty well defended. They have reasonable armies (and more recently nuclear weapons) to help the in the summer, and unlivable conditions in the winter. However, that hasn't stopped some people from trying to invade Russia in the winter. The Swedes were the first (as far as I can dig up) to try invading Russia in the winter. They were the first, so they get a bit of a pass. Sweden itself is northerly, and it's not like they had someone else's mistakes to learn from. 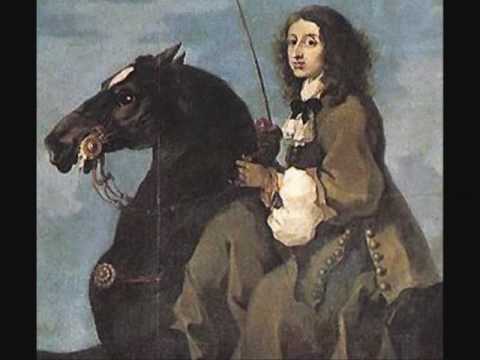 Although, quite frankly, even if there had been someone else's failed attempts to learn from, it is doubtful that that would have stopped Charles XII, the young, brash, and ridiculously successful King of Sweden. Charles was a genius military commander, and dangerous risk taker. He frequently dove into battles with forces that vastly outnumbered his own, and usually came out victorious. Charles was That Kid. You know, that kid in school who claimed to never study for a test, and then got full marks. Charles was the monarchy equivalent of that kid, and, quite frankly, the rest of Europe was a little sick of it. See, Sweden at the time was something of a world power. They'd taken most of the land around the Baltic sea. The only things they didn't own was Denmark and Norway (Norway belonged to Denmark). This worried the Danes, as well as the newly minted Czar of Russia, Peter the Great. So, to combat the Swedish, the Danes, Russians, Poles and Saxons (part of modern Germany) all decided to gang up on Charles. They were banking on his youth and inexperience (Charles was only 18 at the time). Bad decision. Charles was not only something of a genius, but he had good advisers, ad he listened to them. When the Danes came for Sweden, Charles snck into Denmark, and took them down. Then he turned his eyes to Poland, and successfully installed a King favorable to Sweden. Done with Poland, he turned his eyes to Russia. Charles had had great success with small armies that attacked quickly and unexpected. He adopted the same strategy in Russia. In 1700 he attacked Narva, a town in Modern Estonia. He was outnumbered about 3 to 1, and it was the middle of a blizzard. Remarkably, but also unsurprisingly, Charles won. The Swedes continued across Russia like this, but the Russians, as per the usual, implemented a scorched earth policy, leaving nothing for the Swedes to eat. The Russians then cut off the Swede's supply lines. Despite all this, the war wasn't going too badly for the Swedes, until General Frost stepped in. 1709 was one of the coldest winters of that era. 2,000 Swedish soldiers died from cold in a single night. Northern Russia wasn't a good place to hang out, so, against the council of his advisers, Charles decided to winter with his buddy Mazeppa in the Ukraine. Ivan Mazeppa was a former Russian ally who wanted to get the Russians out of Ukraine. He told Charles of his plan to start an Ukranian rebellion, and invited Charles to invade. Never one to pass up new territory, Charles agreed. Thing was, most of Charles' forces were very ill, and couldn't fight. Charles himself had been wounded. Additionally, the Russians found out about the planned uprising, and moved to quash it before it even began. So when Charles arrived in Ukraine he had much fewer Ukrainian troops than expected, and only the skeleton of an army. Realizing the fight was already lost, Charles escaped with 2,000 of his sickest men, leaving the rest of the army behind. The Russians caught up with them, thoroughly defeating the 16,000 Swedish forces left behind. Next up to the plate was the young French protegee, Napoleon. The year was 1812, and Napoleon had had it with Russia. Russia was supposed to be his ally. They were buds. They were part of the continental system, they had no reason to fight each other, and they promised each other that neither of them would trade with England. It was a good arrangement. For France. What Napoleon failed to realize was that this arrangement wasn't helping out Russia very much. Russia needed trade with the English to bolster its economy, and France had done the unthinkable--they helped Poland. his ribs are still there. Now, I have absolutely zero historical evidence to back this up, but I imagine Czar Alexander's reaction to Napoleon's invasion was something like 'lol wut? ', and he slipped on his shades, and watched the French armies confidently walk into his territory, just knowing that they wouldn't last a year in Russia. As I mentioned, there's no historical evidence, but it's a pretty amusing picture. What is fact, though, is that the Russians put up very little resistance to the French at first. Instead of standing to fight, they let the French take the towns of Vilna, Vitesbk, and Smolensk, virtually without a fight. Instead of fighting the Russians torched the cities and all surrounding crops, leaving the French to die of starvation, exposure, and sporadic attacks. This worked very well. Tens of thousands of soldiers died of starvation, exhaustion, and dehydration. Many more deserted. The Russians didn't stand and fight until the French were just 75 miles from Moscow. The French and Russians were fairly evenly matched, and each suffered heavy losses. The Russians, however, decided not to stick around. 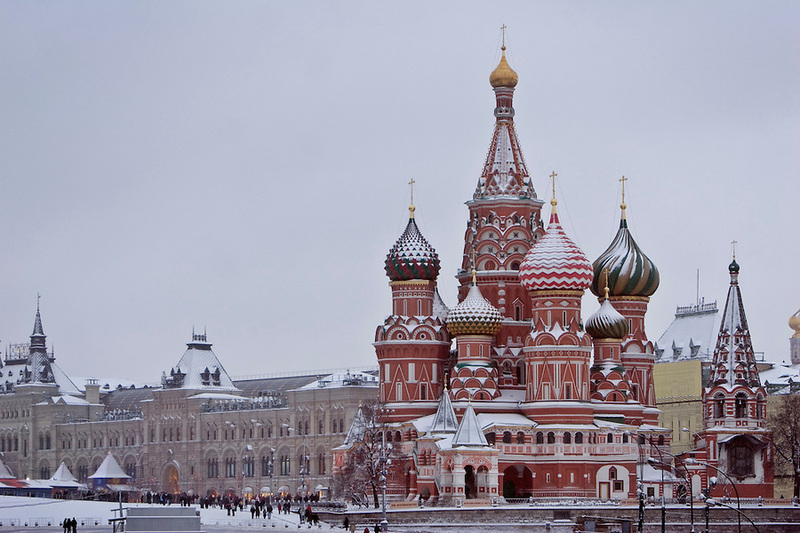 They set fire to Moscow, all of Moscow's food storage, and left, leaving only a large amount of hard liquor behind. So, while they French may have been merrily drunk, they were also starving. Napoleon had decided to stay in Moscow for a while, and wait for Czar Alexander to make peace, but Czar Alexander decided to sit back, and let winter take care of things. Eventually, Napoleon threw in the towel, and decided to head back to France, just as winter was approaching. Now, this went as well as you might expect, which is to say, poorly. The Russians were determined that the French stay out, so they drove the remnants of the Grand Armee along the same route they came in on. If the food options had been picked over before, they were completely nonexistant on the way back. The Russians kept the French from ranging further afield to find further sustenance. Added to that was the cold. Many men froze overnight. Dead bodies were stacked up against walls to provide insulation, and tales were told of men slitting open their horses, and climbing inside them to keep warm. The French died in massive waves, and only 20,000 of them returned home to France. Hitler would have known better than to invade Russia. Stalin wouldn't have insisted that no city be surrendered, and instead adopted the scorched earth tactics that has kept Russia independent for so many generations. Adolf Hitler, looking unfriendly as usual. Instead, Hitler and the Germans were the ones scorching the earth, and the citizens of the USSR were being attacked by not only the Germans, but their own government. 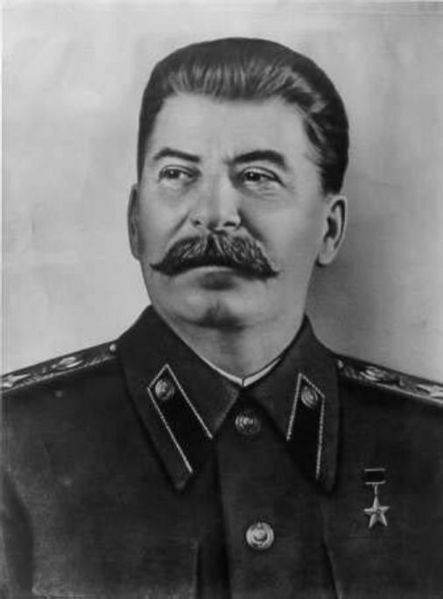 Stalin ordered that deserters and suspected traitors be shot, not to mention his abhorrent policy of relocating ethnic minorities to Siberia. Having conquered France, Hitler needed to get on with the rest of the world. Conquering the UK would be a difficult, and not entirely worthwhile endeavor, so he decided to go after his land and resource rich neighbor, the USSR. This was the start of 'Operation Barbarossa'. Germany and the USSR had signed a non-aggression pact two years before, but Hitler still considered communism a major threat to the German Empire he wanted to build. Because Nazi Germany didn't do anything by halves, Hitler planned to completely wipe out the communist population of the USSR, not just the Jews, Romani, Homosexuals, and political dissenters that he usually went after. Hitler started by forming a group of elite troops called the Einsatzgruppen. He sent these soldiers into Russia to murder Jewish males, communist leaders, and anyone who looked like they might start a resistance, en masse. He then gathered a force of more than three million soldiers, and stormed Russia's frontier. While Allied powers had repeatedly warned Stalin about a German invasion, Stalin had refused to listen, and was caught by 'surprise'. Unlike his predecessors, Stalin refused to give ground. He ordered that no city surrender or be abandoned. As a result of that three million USSR soldiers were taken captive in Kiev. Instead of evacuating the countryside, and torching all the crops, villagers were ordered to stay put, and anyone suspected of disloyalty or cowardice was shot. Because of this the Germans were able to subsist off the crops of the small Russian villages, and were able to penetrate further into USSR territory. Looking through the lens of history, Hitler has done far better than expected. However, according to Hitler and company, the invasion of the USSR was taking far longer than expected. Hitler had expected the invasion of Russia to go like the invasion of France, quick and relatively painless. But the Russians held out far longer than he'd expected. By the time the Germans were ready to head to Moscow, winter wasn't too far away. And, in a move that will surely have you banging your head against the nearest flat surface, the Germans did not have any winter supplies. They hadn't expected to stay the winter, and so they were completely unprepared. They started to slowly retreat, but before they could get out of Russia entirely, war had flared up again in the west with the invasion of Normandy. Unlike previous invasions, the failure of Operation Barbarossa was not a decisive win for the Russians. Had another front not opened up Hitler would have most likely started the invasion up again in the spring. The German soldiers were able to subsist off the food they found in the countryside, all they lacked was warm clothing. Had Stalin stuck to the proven tactics of his forerunners, and set everything on fire, WWII may have gone much differently. Like what you're reading? Support the blog to help us keep producing great content. You can shoot us a one time donation on Paypal! You can also help support us with your Amazon purchases! By going to Amazon via the link below (or any other Amazon link on our website) a small percentage of what Amazon makes off your purchase goes to us, at no extra cost to you! It doesn't matter if you buy what we're selling, we get a small commission from any purchase you make from following our link. 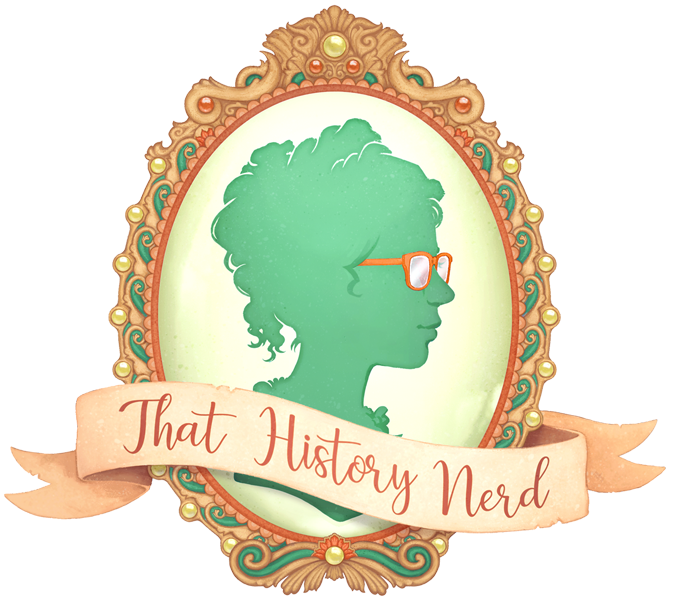 Subscribe for history straight to your inbox! Irene Carstairs 2017. Logo by Devin Hurst. This blog is an Amazon affiliate. Ethereal theme. Theme images by LordRunar. Powered by Blogger.